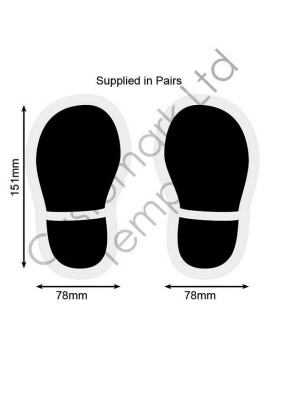 Floor Sticker is printed and cut to a Childs Shoe Print Shape. 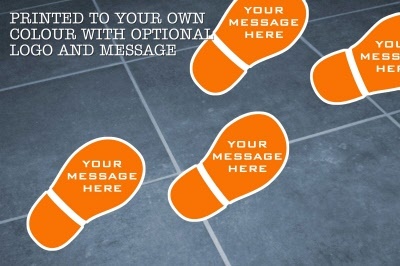 Printed up to Full Colour with your own Message, Photos and Logos . Floor Graphic is made from White Permanent Non Slip Vinyl for long term indoor use or up to 6 months outdoor use. Minimum Online Order Quantity 5 Pairs.